This well maintained brick and vinyl rancher is waiting for a new owner*Over 2300sq. ft with 2 Master Suites; Large Living Room or Living/Dining combo offers high end Shaw vinyl hardwood flooring; Den w/ FP and gas logs*Beautiful Updated Kitchen w/ solid surface countertops*All appliances remain including refrigerator and washer and dryer*Office/Laundry Room off of kitchen and a 2nd Laundry area in hallway leading to Master Suite*Split Bedroom Plan*Spacious Bedrooms*Large Screened in Porch*Oversized decking and above ground pool*Large, level, fenced backyard*2 car garage*Both HVAC systems and roof under 5 yrs old and Hot Water Heater is 1 yr old*Home warranty offered with acceptable offer*Call now to schedule your personal tour! SchoolsClick map icons below to view information for schools near 2111 Chesterfield Dr Maryville, TN 37803. Home for sale at 2111 Chesterfield Dr Maryville, TN 37803. Description: The home at 2111 Chesterfield Dr Maryville, TN 37803 with the MLS Number 1069515 is currently listed at $294,000 and has been on the Maryville market for 18 days. 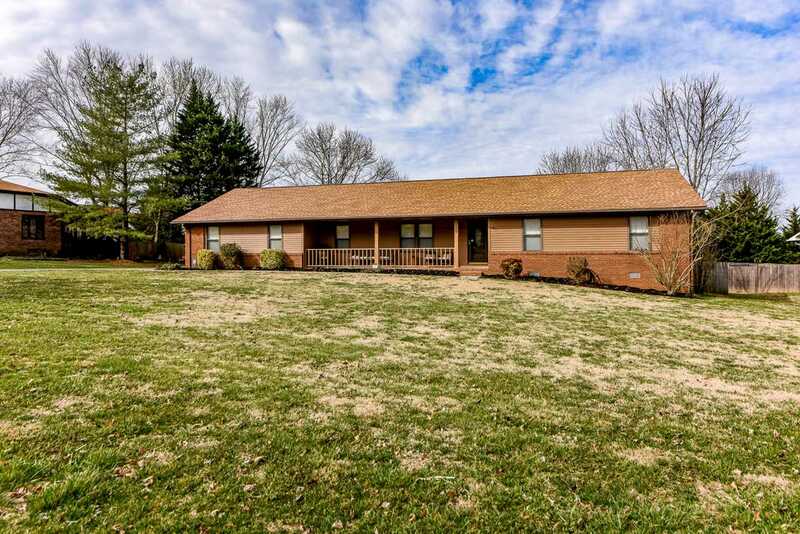 You are viewing the MLS property details of the home for sale at 2111 Chesterfield Dr Maryville, TN 37803, which is located in the Windsor Park subdivision, includes 4 bedrooms and 3 bathrooms, and has approximately 2382 sq.ft. of living area.